The Town of Golden Beach is an ocean front community that covers approximately 1.8 square-miles and is bounded on the east by the Atlantic Ocean, on the west by the intra-coastal Waterway, on the south by the City of Sunny Isles Beach and on the north by the City of Hallandale Beach. The Town of Golden Beach was incorporated over 85 years ago in 1929 and is among the oldest municipalities in Miami-Dade County. The Town was founded, and has remained, one of purely single family homes. Nestled in exclusivity and privacy within a short driving distance from the large urban areas of Miami and Ft. Lauderdale, Golden Beach is convenient to fine dining, cultural centers, professional sports venues, and world class shopping centers such as the prestigious Shoppes of Bal Harbour. 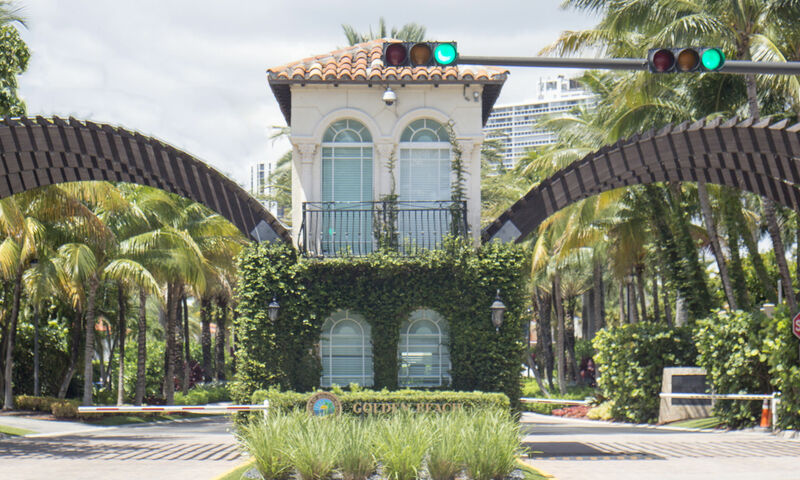 Since its incorporation in 1929, Golden Beach has become one of the most desirable places to live in South Florida. This small quiet community has maintained its family lifestyle in a mile-long sanctuary of 364 single-family homes that are mostly located on the Intracoastal and its waterways or directly on the Atlantic Ocean. The Town Charter protects the Town from commercial activity of any kind and forbids the construction of high rise condominiums that saturate so many beach front communities in South Florida. A beautiful mile and one-eighth of private beach with a historic beach Pavilion, 9 parks, and a committed sense of community have attracted talented, discerning residents from all over the world to this idyllic town located only 18 miles from Miami International Airport and 15 miles from Ft. Lauderdale International Airport, and Port Everglades. An elected Mayor and four Council Members govern the Town of Golden Beach, with elections being held every two years. Day to day affairs of the Town are under the leadership of a Town Manager who is appointed by the Town Council. The Council also employs a Town Clerk and a Town Attorney. Like many municipalities in Miami-Dade County, the Town has grown tremendously with respect to population and property values, especially during the latest population boom of the late 1990’s and early 2000’s. With that growth the Town has been able to maintain a steady level of services while controlling the fiscal growth of the Town. Our 364 single family homes, nine parks and private beach access make Golden Beach a unique Town. Although the Town has just over 50 employees, we provide all the services of a larger community, such as: employing our own Police Department (community patrol division, detective bureau, K-9 division, and marine patrol unit), Building & Zoning Department, Public Works Department, Sanitation Division, Parks and Recreation Department, Code Enforcement Office, Town Clerk’s Office, Human Resources Department, Finance Department, Life Guards, and Community Development Specialists.